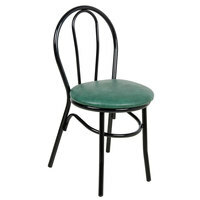 Seat your guests in comfort and style with this Lancaster Table & Seating green hairpin cafe chair! 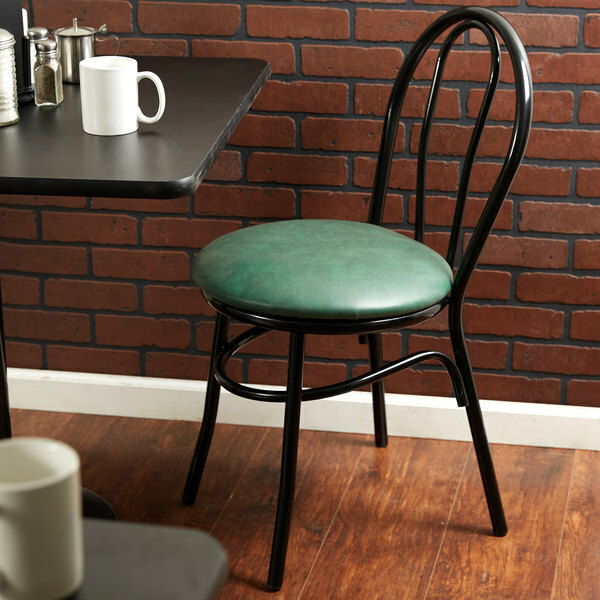 Combining classic style and unmatched comfort, this Lancaster Table & Seating green hairpin cafe chair is perfect for your pizza shop, ice cream parlor, or cafe! 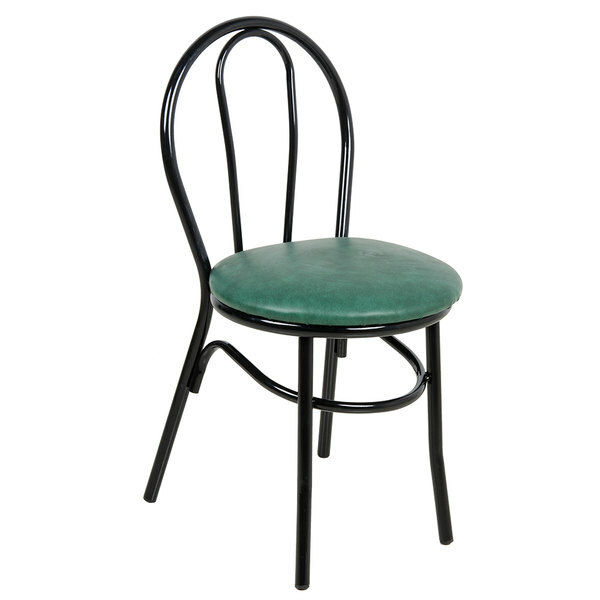 This hairpin chair, or parlor side chair, adds a timeless look to any indoor dining area and features a heavy-duty welded steel frame to ensure exceptional durability. Plus, its green vinyl seat is padded with high-density foam to provide superior comfort. "Super comfortable cafe chairs. They are definitely worth the price especially if you are looking for a classic design on a chair. They are super strong as well!" 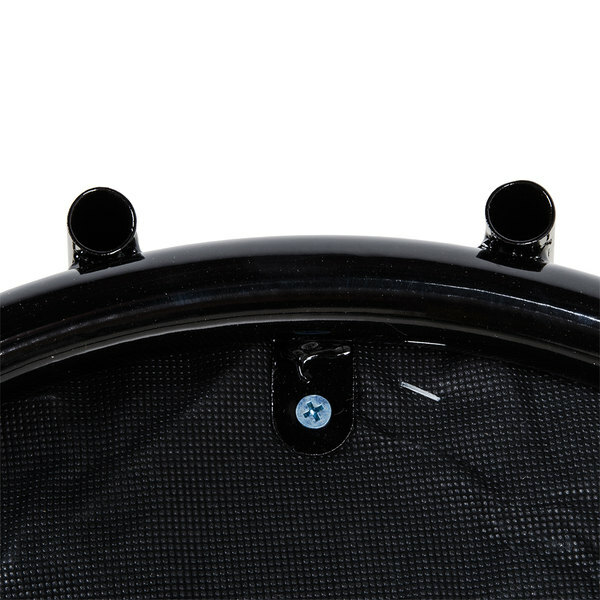 This chair's seat is padded with 1 1/4" high-density foam to ensure superior comfort and support. Plus, its attractive, green vinyl material adds a pop of color to your establishment. 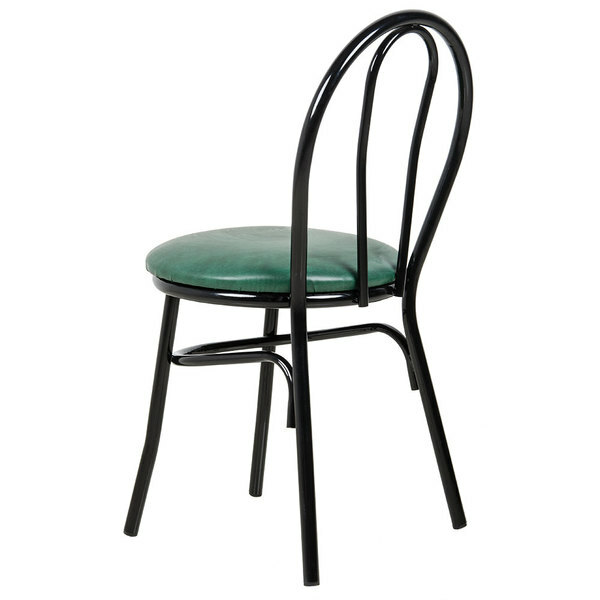 Thanks to its sturdy, heavy-duty welded steel frame, this chair is built to withstand frequent use in your establishment. Its frame is also painted to help resist stains, scratches, and smudges. Nylon glides are attached to each foot, protecting your floors from scratches and scuffs. 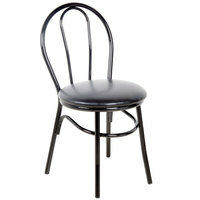 Designed for light to medium duty use, this chair has an ample 250 lb. weight capacity. Super comfortable cafe chairs. They are definitely worth the price especially if you are looking for a classic design on a chair. They are super strong as well! I think that these chairs were assembled very well. We have owned 4 different kinds made by the Lancaster company and we have never had any type of problem. These have been no different for us. Love these cafe style chairs. Affordable and stylish these cafe chairs are lovely. Easy to clear and various colors make it an attractive addition. we have ordered time and time again. we love the green.. but the red is appealing too !! 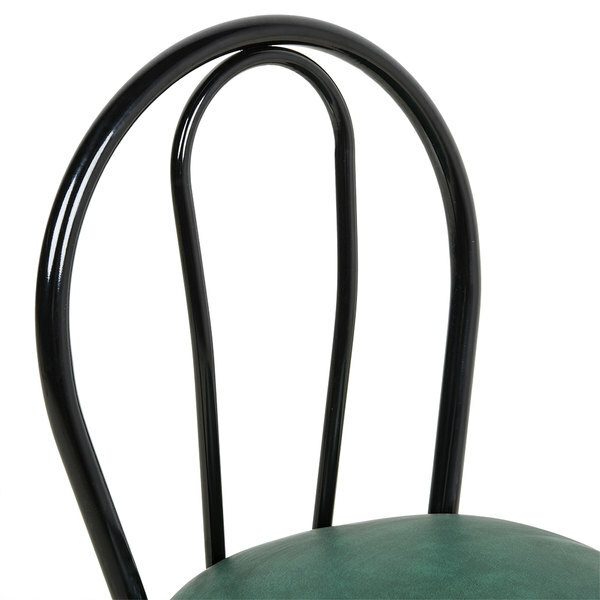 The Green hairpin Cafe Chair.Is perfect for The American Tables.Easy to bring in at night .Easy to clean and also stackable.We love the soft green seats.Price is great. These chairs are great for small cafes and family run restaurants! Very affordable price that makes these a must have! Stacks easily for cleaning! Lightweight!